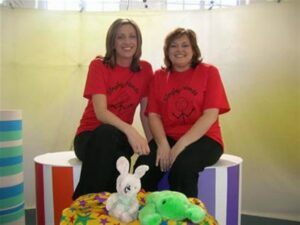 Following a chance meeting with a BBC executive at local Baby Fair, we were invited in early 2005 to film a little segment to appear through the ‘arched window’ on the BBC Cbeebies programme Tikkabilla (a modern-day version of “PlaySchool”). In this slot, which was first shown in December 2005, we did a signed sing-a-long session featuring our favourite songs ‘Twinkle Twinkle Little Star’ and ‘Mmm Mmm Frog’. It was a really inclusive session featuring our own children plus other children from local schools and nurseries, toddlers from our classes and some friends from the Toy Library for Children with Special Needs in Richmond. 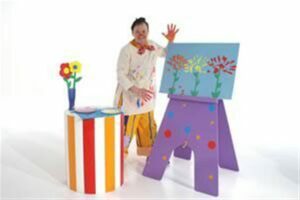 At the time, Allan Johnston the Producer of Tikkabilla, was also working on pilot episodes for a brand-new signing show featuring a signing clown character. 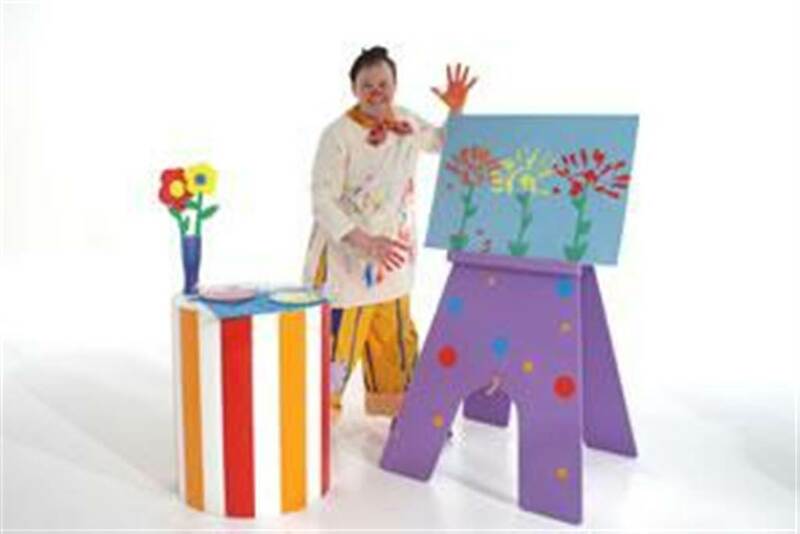 We were delighted to be invited by him to contribute to the Something Special when the new series (Series 2) was commissioned. We appeared in five episodes that were focused specifically on showing viewers how to sign nursery rhymes and songs. The episodes featured a magical nursery rhyme world with a castle and a blue road for Justin to explore. In each of the nursery rhyme episodes, there is a tinkling sound and what does Justin see? 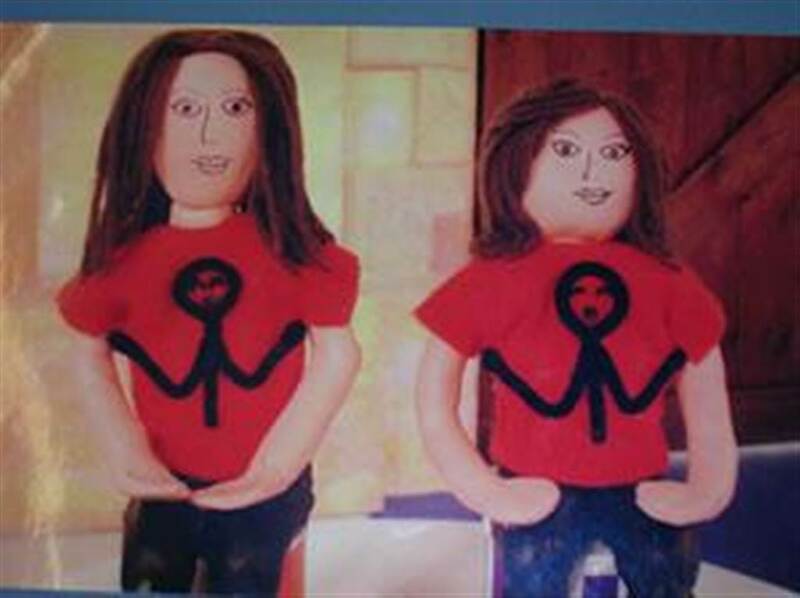 Two little dolls sitting on pods with woolly hair and red t-shirts – a.k.a. Singing Hands! With a sprinkling of magic dust the little dollies morph into the two of us. 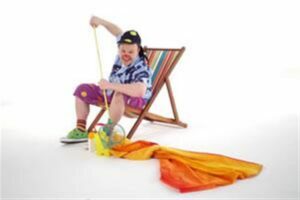 In each episode we introduce one or two songs and Justin/Mr Tumble introduces lots more. 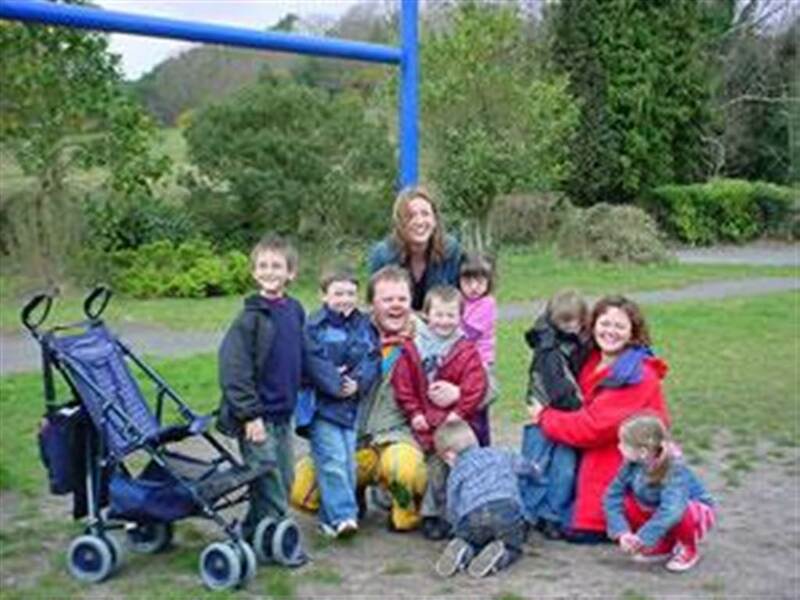 During this series, we were also lucky enough to take our children along with a couple of other friends to meet Mr Tumble for ‘The Park’ episode in rainy Bournemouth (not sure exactly who was more pleased to meet him – us or the kids!). 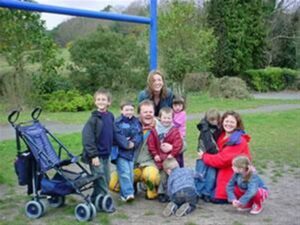 Anyway, they had a great time at the picnic there and enjoyed tweaking Mr Tumble’s red clown’s nose! Still available on Amazon UK! We love these early episodes of Something Special and are so proud to have been involved in this award-winning series. 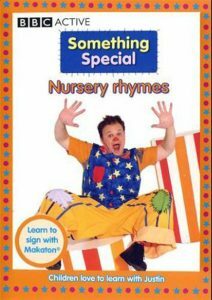 Back in 2005, the producers were not sure how popular a Makaton-signed programme would be – yet in 2016, the 10th series is on air and Mr Tumble is a signing icon. Brilliant! The world is a much better place for children and their families who need to sign because of this programme.